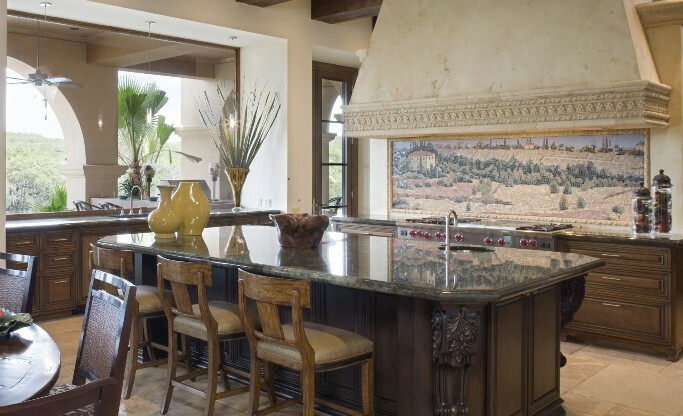 Hill Country Granite fabricates and installs natural stone countertops for the residential and commercial market in Austin, and surrounding areas. We have operated out of our current location in the Lakeway area since 2000. 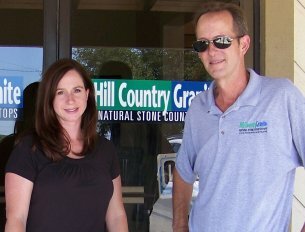 Owners Tom Betsill and Tiva Robson have worked in the granite industry in central Texas since 1985. 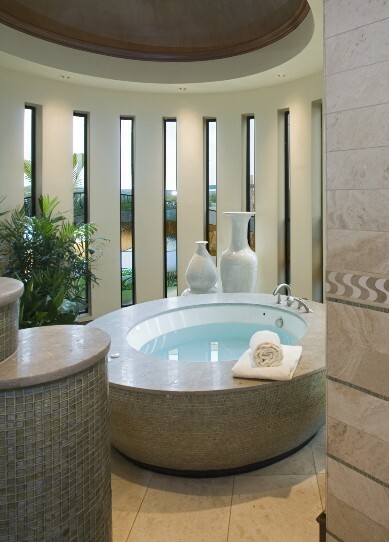 Our business includes both new construction and remodeling. Though in recent years most of our work has been kitchen countertops, we also do vanities, fireplace surrounds, wall cladding, etc. For replacement of existing countertops, we can provide an estimate based on your drawings, or measure existing cabinets and/or countertops for a firm proposal. Once the proposal is accepted, a deposit for 50% is required; we accept checks and major credit cards. Project lead time may vary, typically from 2-4 weeks depending upon specifics of the job. Samples of materials and edgework are available in our showroom for your convenience. We stock most of the typical materials we use for spec houses, and have representative samples of these available. If you wish to select specific slabs, we can advise the number of slabs required to complete your project. We buy from all major slab suppliers in Austin and San Antonio. Hill Country Granite is locally owned and operated; we are fully insured and have full time company employees on our jobs. Our professional craftsmen are among the best in the field, and every Hill Country Granite installation is backed by our guarantee of satisfaction. We take as much pride in our product and installation as our customers do in their own homes.